One of the best CIBO Espresso cafes I have been to in Adelaide, is the Rundle Street location. It is right on the corner and is an upstairs, downstairs coffee shop. The service of this particular CIBO is great; it's fast and easy to order, with lovely, friendly staff and the decor is really nice as well. You have an option to sit downstairs, upstairs or outside. I prefer sitting upstairs, because it is much quieter and there is a great view of Rundle Street. 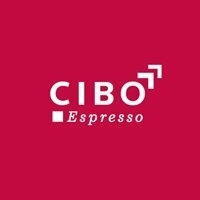 CIBO is a really nice coffee shop to come to after you have gone shopping or just finished work. It is easy to find and close to public transport. Enjoy a cup of coffee, while looking at the art on the walls or out over Rundle Street. I hope to see more people in this brilliant little CIBO (a hidden gem).